Faculty want to know--"What happens next after I provide feedback?" All students receive an automatic email message that they have received feedback which directs them to their view of the Student Engagement Roster. That message comes from the faculty member who provided the feedback. From there, the answer of what happens next varies from campus to campus. 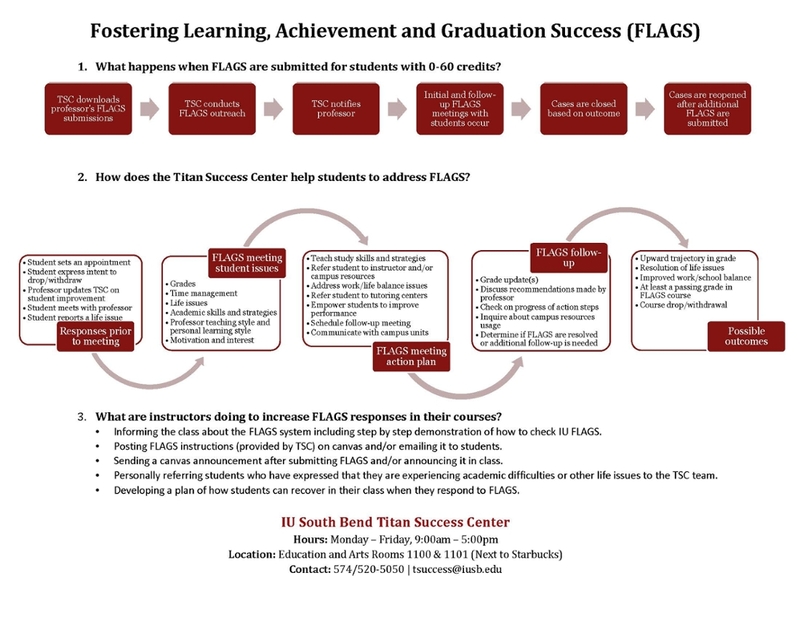 On some campuses, a single office is assigned the responsibility to reach out to students to follow through with them and ensure they connect to the support needed (see the best practice profile below from IU South Bend and their Titan Success Center). On other campuses, academic advisors take the lead--they check their advisee lists each week to identify students with feedback and connect with them as appropriate. Student support offices may also be actively watching the feedback so that they can connect with students as needed. Every campus has a plan for "closing the loop" with students. Be sure you know what the plan is on your campus. As the instructor of the course, if you chose the recommendation of "Consult with Instructor," you will know if students are responding to your feedback--they'll be connecting with you for help. Once the student has consulted with you, you can close the loop in order to complete the cycle of feedback by returning to your roster and marking the appropriate selection. For the Engagement Roster, click Actions at the top right in the header, check "Consulted with instructor" in the student's row, and click submit twice. You still need to remove this recommendation in the SER the next time you submit feedback for this student. For the Performance Roster, look under Trends and select "Student has responded." IU-South Bend put together this information sheet for their faculty to explain the full cyle of feedback and how the entire campus is participating in this important initiative for student success. The Titan Success Center at IU-South Bend created this Canvas notice for faculty to embed in their courses. It walks students through how to check and respond to FLAGS feedback. When advisors connect with students, they may talk the student through strategies for better attendance or time management OR refer the student to resources like the math or writing centers OR help them connect with offices to learn about enrichment activities like study abroad, undergraduate research, the honors program. Once that happens, the advisor will close the feedback loop in Advising Records (AdRx). We continue to work on better communication avenues for faculty and staff members in the SER tool. Because you can now write notes to students in the Engagement Roster, please consider using that functionality to provide direction to a student about why you might be recommending they consult with their advisor or other student support services. That will give those offices better insight into how they can help the student. It may take several rounds of feedback before some students begin to take notice. Don't give up if you provide feedback once and nothing appears to change. Your initial feedback may have alerted the student that all was not well or that they had other opportunities they could explore; it may take additional time for them to reach a point where they are ready to take action. The real question is does it work to provide this feedback? 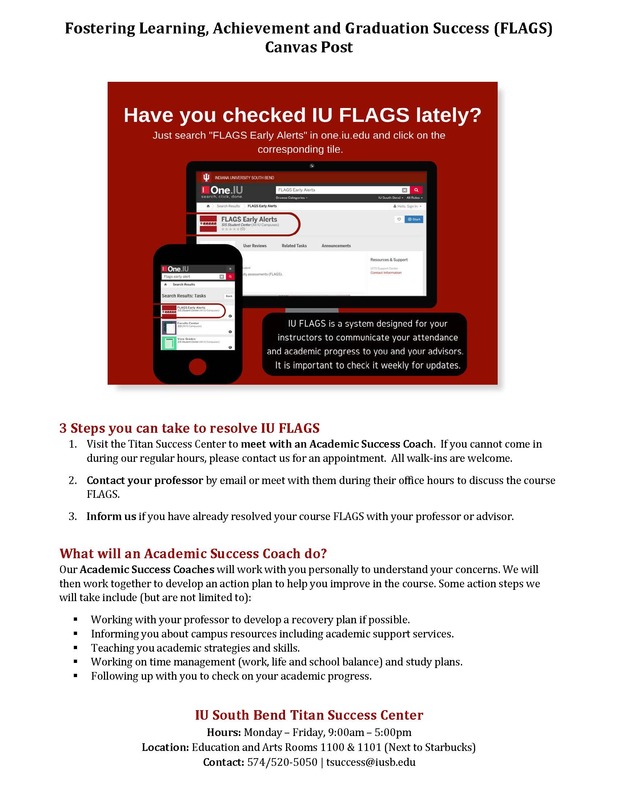 IU Northwest has done two studies using FLAGS feedback to track what happens to students when they follow the recommendations they are given. They found that students who sought out tutoring after receiving feedback recommending they do so were much more likely to be successful at passing their math class. 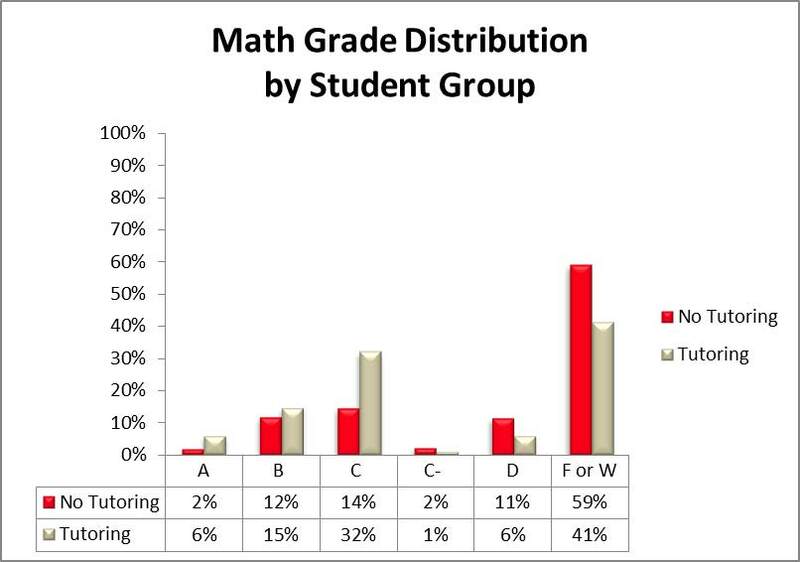 You can read the IU Northwest study here: The Effectiveness of Early Alert (FLAGS) on Math Tutoring, Grades, and Student Success.